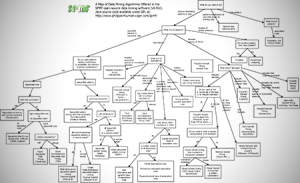 If you have any comments to improve the map of algorithms, please post your comments in the comment section. Thanks for posting. Kindly can you clarify educational Data Mining techniques characteristics? please. 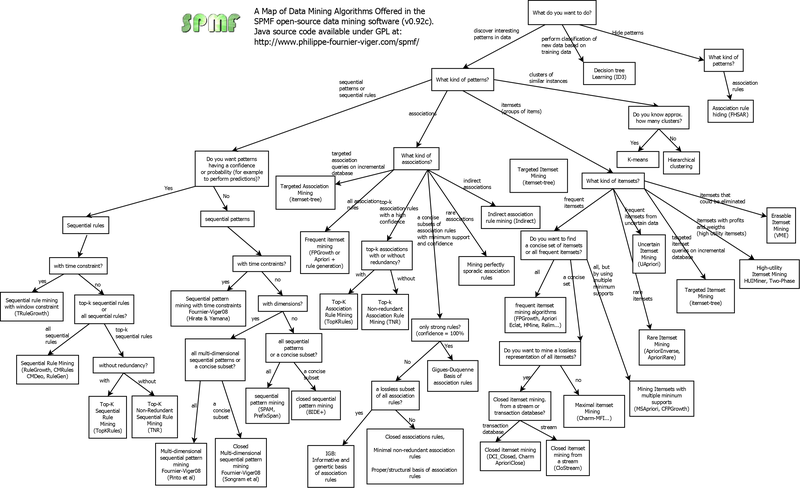 Hi, Educational data mining (EDM) is an application domain of data mining. So basically, you could certainly apply all the fundamental data mining techniques from data mining in this domain. But researchers working in the field of EDM have also designed some specific techniques or systems that extend or integrates these data mining techniques. I don’t have time to do a review about this for you because I did not work on this topic for a few years. But you may have a look at the proceedings of the AIED conference, ITS conference, LAK conference, IEEE Transaction on Learning Technologies, and the EDM conference to see what are the current research topics and trends in EDM. I know also that there exists some survey papers about educational data mining. You may find them on Google Scholar.